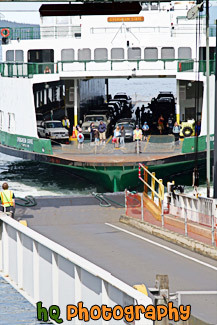 A close up photo taken of a Washington State ferry docking at Lopez Island. This ferry is called the Evergreen State. You can see the cars on the ferry getting ready to depart.